Neon Hype is the skateboard that everyone is talking about! 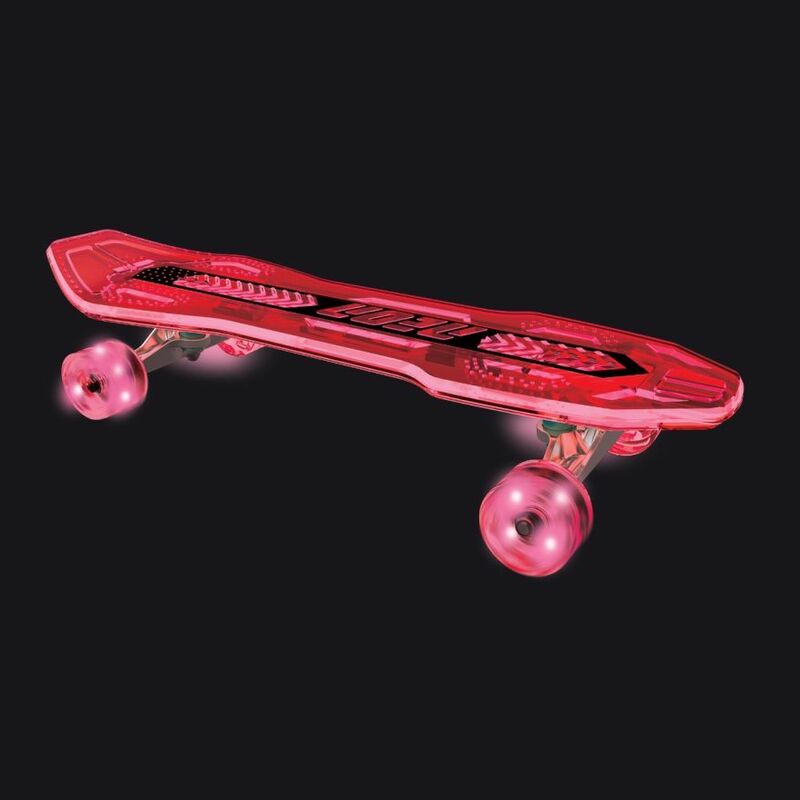 Built like a regular board, this smooth-rolling machine delivers a sweet ride and head turning looks with LED lights for riding after hours. Carve up the streets and disappear in a flash! Equally capable of zapping around the city or cruising the park, the Neon Hype is kitted out with LED lights under the deck for extra street cred. Smooth motion-powered PU wheels and reflective grip deck make for a lightning-fast board that's agile enough to take on anything and compact enough to take wherever you go.